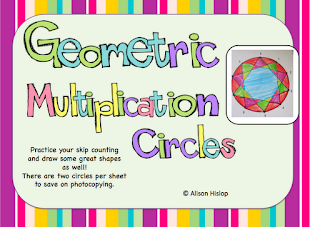 Geometric Multiplication Circles - GREAT Activity!!!! 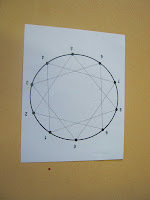 This was part of my maths lesson today - we had so much fun and it was so successful! 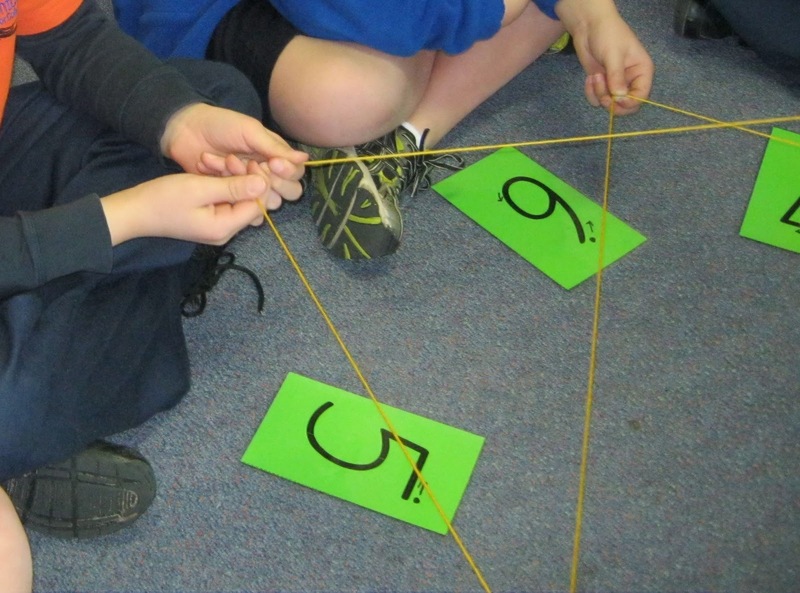 We started off with some skip counting. 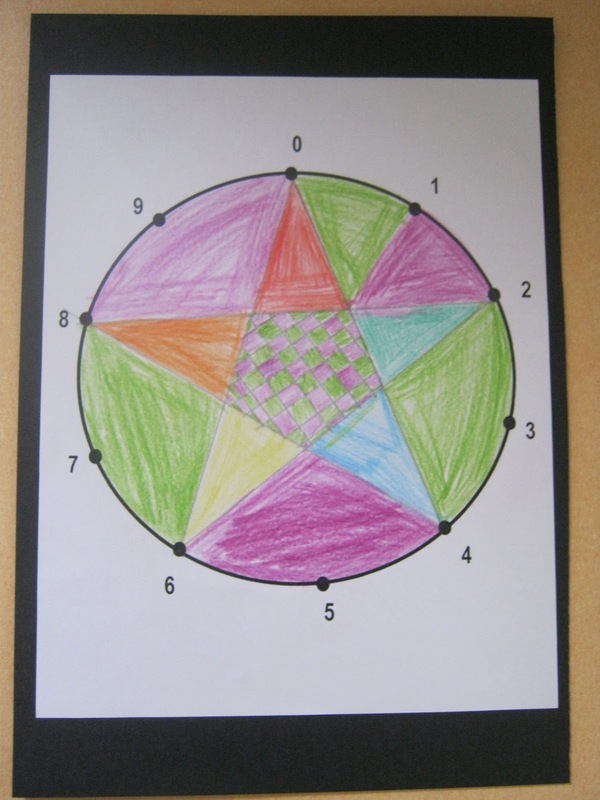 Then we sat in a circle with the numbers 0 to 9 in front of 10 children. 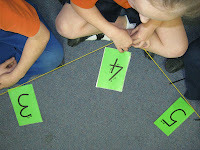 Then using wool, we started at 0 and decided we were going to count by 4's. We started at 0 then went to 4. 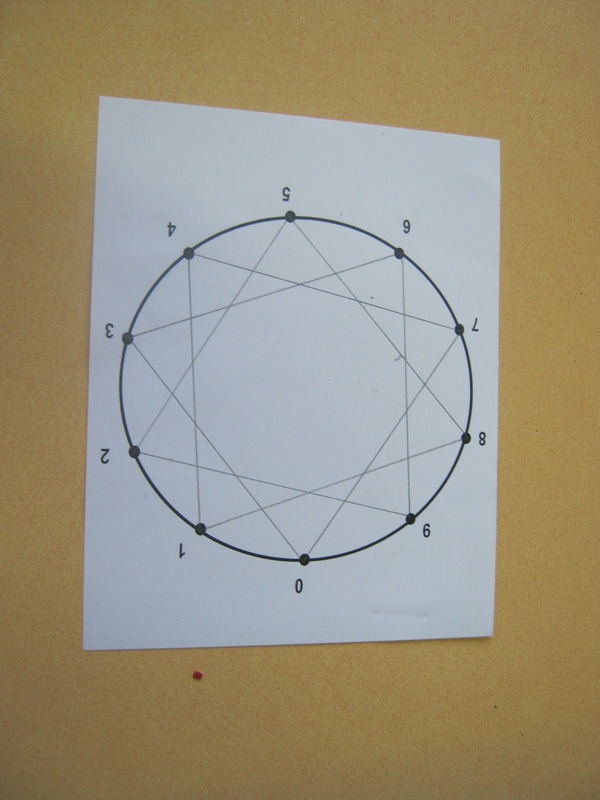 Then we went to 8 then 2 (12), then 6 (16), then 0 (20). 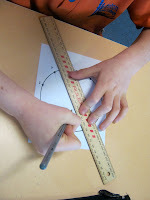 We stopped when we got back to 0 and looked at the shape we created. 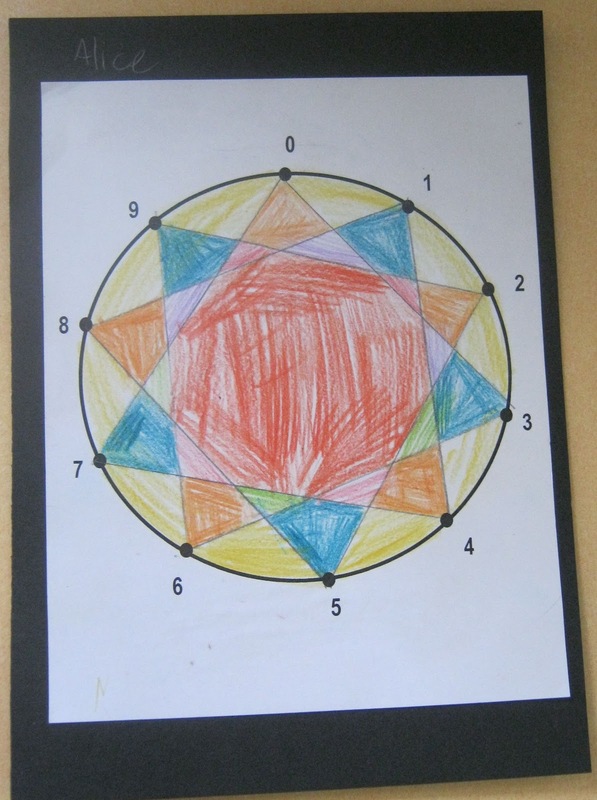 Then we tried again with 3, 6 and 7. 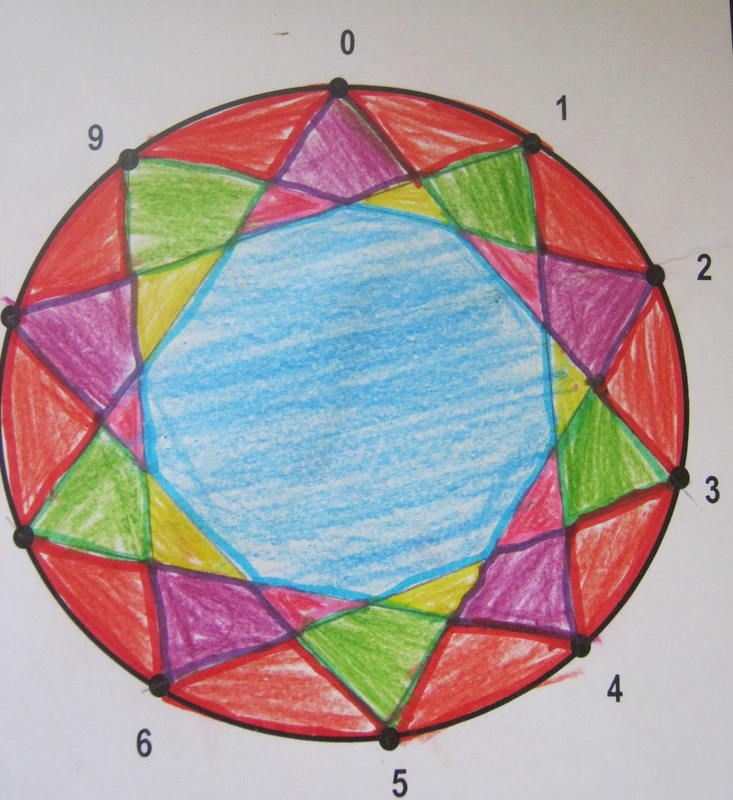 We made some great shapes! 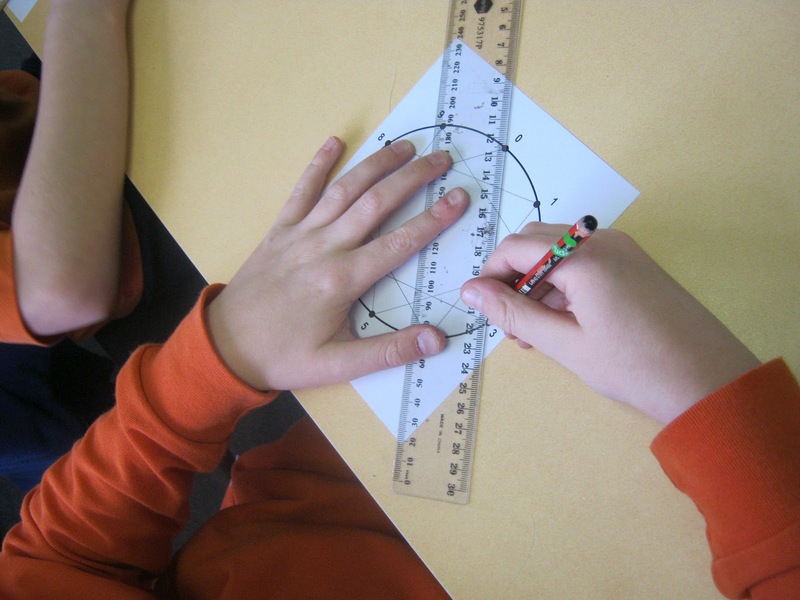 Then we tried to draw our own using the number circles and a ruler. This the the shape counting by 3 makes! You can purchase this booklet on TPT or Teachers Marketplace for only $1. 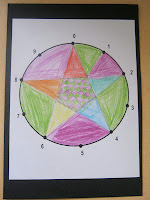 It will be as easy as printing out the circles and following my lesson plan! An easy and creative way to each skip counting and timestables patterns! I will email the booklet for FREE to the first 8 people who comment below - so get commenting! (And don't forget to include your email address!). No additional FREE copies of this pack are available. Thanks! I want one! Pretty please??? The kids will LOVE that activity! Of course you can have one, Thanks Julie. I have emailed it to you, I hope your children love it as much as my class did! So incredible! 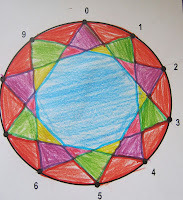 I never new these shapes would be made by skip counting. I love your idea to foster group dynamics and teaching. Thanks for the freebie!!! Thanks for your comments Ruthanne. It really was a fantastic activity! Can you please leave me a message with your email address so I can email the file to you. Thanks! I have emailed it to you! Here is my email address. Thanks for the freebie! Please may I have a copy? I would love to have this for my students. Could you send me a copy? Dice too noisy? Try this! Daily 5 and CAFE Scrabble Letter posters FREEBIE! What is Multiplication? Free Booklet!